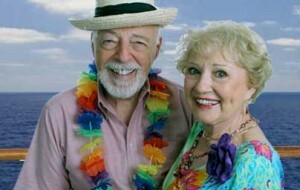 SENIOR CRUISE CONCERNS FOR HEALTHCARE ON BOARD? Back in 2004 a provocative article appeared in the Journal of the American Geriatrics Society, (Nov. 2004)*, which forecast a time that the cruse lines would begin to be more senior friendly in terms of health care provided on board. The cruise lines presently provide seniors with meals, 24-hour access to nurses and physicians, housekeeping, laundry and meal escorts. The cost of a cruise is relatively the same as an assisted living facility or nursing home but in a more beautiful environment. Unfortunately the article’s prediction of greater assistance provided has not come true six years later. The cruise lines have not decided to hyper-train their on board personnel in the needs of the elderly. Although the ratio of passengers to on board personnel is around 3:1 (which is superior to most assisted living or nursing home facilities), the attending on board staff know little about monitoring medication or even how to assist the elderly in getting around. The cruise lines on the other hand have greatly expanded their marketing to attract the Senior dollars, encouraging travel among their peers and creating attractive itineraries that play to senior interests. The brochures are careful to disclaim responsibility for health issues that may become more intensive during a cruise. Frequently an elderly couple have health issues that are routinely dealt with on dry land back home that become more difficult on board without trained assistance. An eager husband wants to continue his lifetime of cruising but his spouse has developed a health concern that makes him think more than twice about booking a cruise. The cruise line provides a couple of physicians and at least three nurses on their brand new gigantic mega ships but no traditional on going 24 hour care that a senior might enjoy at home. God forbid a health issue develops during the cruise the cruise line wants you off the ship as soon as it can be arranged. You are on your own. Ironically, more cruise lines are deciding to build large vessels to accommodate what amounts to huge condominiums or floating assisted living facilities without the requisite healthcare necessary. The economic feasibility of choosing a long term living situation on a cruise liner is now recognized as an attractive alternative to an assisted living facility or nursing home. The cruise line may charge $20 a day less than any traditional assisted living facility or nursing home. The amenities are superior on board with intangible perks like waking up routinely in a different port every few days. Children like to visit their parents in a cruise line setting. So how does a Senior solve this healthcare gap that insures security, safety, health maintenance and less concern about day to day life aboard a cruise liner. Simple – bring a care giver, aide, or companion with you at an affordable cost!